If I had sent you a postcard from the 10th Annual Becker’s Hospital Review Meeting, which took place in Chicago during the first week of April, my message to you would have been, “Wish you were here!” I’ve been in healthcare IT for 27 years, a career I love because of our industry’s collective ability to make the world a better place. Attending the Becker’s Hospital Review Meeting this year filled me with excitement and optimism about the progress our industry is making in improving healthcare for the benefit of patients and confirmed for me (once again) that working in this industry is more than just a job. 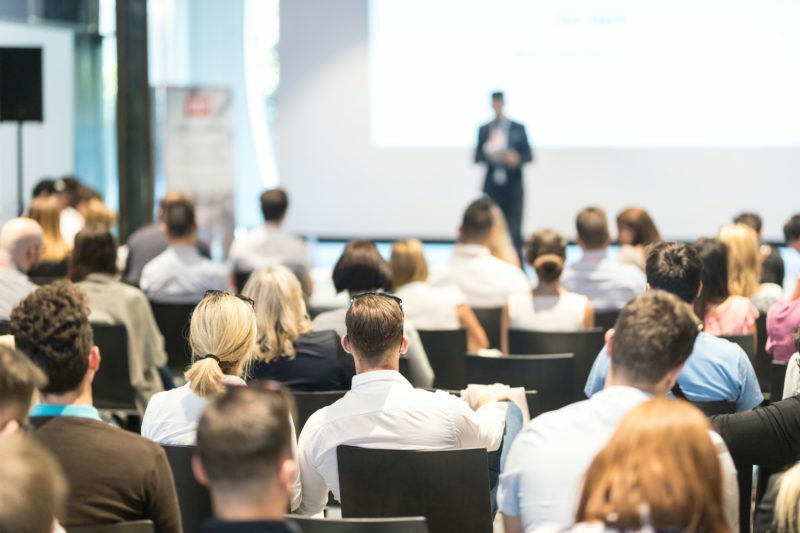 The Becker’s Hospital Review Meeting is acknowledged as a venue that each year attracts some of the hospital industry’s most forward thinkers. These thought leaders gather to discuss the future of healthcare, how hospitals and health systems must adapt to meet changing patient needs and new economic realities, and includes expert views from all sides of the hospital world. With a roster of high-powered keynote speakers rarely seen together at one event, attendees heard from a diverse group of leaders including former Presidents Bill Clinton and George W. Bush, political pundits Mary Matalin and James Carville, and TV personality Katie Couric. These famous names were joined by healthcare luminaries such as Redonda Miller, President, The Johns Hopkins Hospital; Michael Dowling, President and Chief Executive Officer, Northwell Health; and Elliott Joseph, Chief Executive Officer, Hartford Healthcare. In short, the Becker’s Meeting delivered something for everyone. Areas of concentration ranged from leadership and strategy, physician and hospital alignment, patient safety and quality, as well as finance and revenue cycle management. Conversations that focused on the intersection of hospitals and technology were obviously an area of interest for me. Technology-focused sessions included such advances as predictive analytics, artificial intelligence, telehealth, cybersecurity, and more. I attended several sessions where a variety of hospitals and health systems shared the impact of technology on stripping cost, waste and inefficiency out of their business — and the results were exceptional. From reductions in length of stay by almost a day and positive patient outcomes, to millions of dollars in cost savings and margin contribution, it’s clear that hospitals and health systems are increasingly and more broadly leveraging technology to improve their operations. Events like the Becker’s Meeting also serve to remind me that healthcare, while representing 20% of the US GDP, is still a “small world” industry where it’s commonplace to run into past colleagues and collaborators. For instance, I was pleased to see Dr. A. Marc Harrison, President and Chief Executive Officer, Intermountain Healthcare, on a leadership panel. Marc and I co-authored an article in Healthcare Financial Management in 2009 when he was at the Cleveland Clinic Foundation on the topic of analytics and performance management. Marc is an exceptional leader focused on results. And maybe even more impressive, in his “spare time,” Marc is a seven-time Ironman. What?!? The conversations at the Hospital IQ booth were energizing. Hearing from CEOs, COOs, CMOs, RNs and others about the challenges they face with patient flow, capacity, staffing to demand, and patient prioritization underscored that the business of caring is as complicated as ever. It was exciting for our team to inspire these operational leaders by showing them how Hospital IQ’s advanced operations management platform, which incorporates AI and predictive analytics, helps them get actionable information to drive meaningful change. Even if you missed the Becker’s Annual Meeting, you’ll still have a chance to see Hospital IQ in action at AONE 2019. And for those who won’t be in San Diego this week, feel free to request a demo to see how a predictive analytic operations management platform can help your hospital and health system operate more effectively for the benefit of staff and patients alike.